It’s about that time. 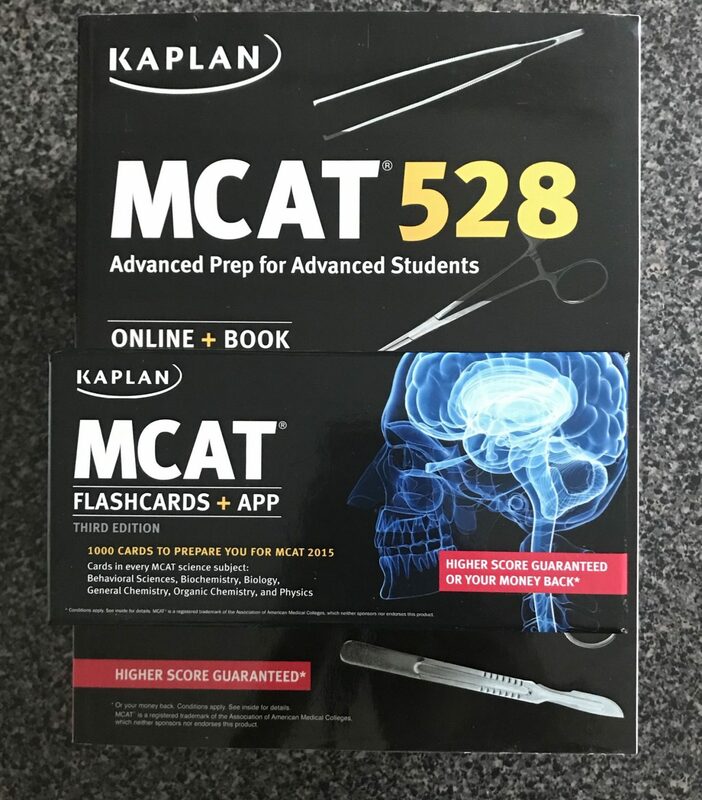 I’m starting to prep for one of the biggest exams of my life– the MCAT. I took the diagnostic exam a couple of days ago and let’s just say, I’ve got a lot of work to do. After doing some research online, I found that Kaplan’s scores for the diagnostic exam are deflated. It makes sense because they have this whole “higher score guaranteed” thing going on. I even ran across a Reddit thread where a good chunk of people did poorly on Kaplan’s practice exams compared to the AAMC practice exams. Crazy, right? I still plan to use Kaplan’s complete book set along with the flashcards. I imagine that I’ll also use videos and AAMC materials to supplement. The diagnostic exam is super condensed compared to the real thing. There are 6 sections, but each of them is only 30 questions long. The sections aren’t individually timed, but I was given 2 hours to complete the entire exam. I took the exam cold, meaning I did not study in advance. It was a good opportunity to see what I truly know and don’t know. School hasn’t started yet, so I’m not quite sure how much time I will be able to dedicate to studying for the MCAT. I am shooting for a July test date since Post-Bacc and SMP applications open on the first of September. At the moment, I’m planning to study 15 hours a week which should be doable even with classes and work. As far as organization, I’ve heard of people setting up spreadsheets to keep track of topics covered and what not, but I’m thinking of taking the old-school approach. I’m probably going to keep track of everything in a notebook, but I do like the idea of using an online calendar for scheduling. I’ll be sure to share these things on the blog as I get more into the swing of things.